Esquire Magazine's next cover is? - Hello! Welcome to my blog! Well, I guess you guessed it. 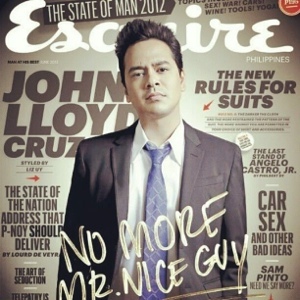 Their cover for June is JLC (John Llyod Cruz). Not much a big big fan of the guy but I'm sure girls would love to have him and will purchase this issue. I grabbed the photo from the twitter of @MissIzaCalzado.